We learned that our friends in Colombia do not celebrate Easter like we do. There is no Easter Bunny or Easter Eggs or treats and big family dinners. They do go to church and the kids get a week off school. Instead of celebrating Easter, they have First Communion. First Communion is a religious ceremony celebrated by kids in Colombia. The girls get dressed up in pretty dresses and the boys were nice pants and sweaters. They go to church for the day and have a big party. We got see some pictures of their First Communion. 1. The seeds are red and about the size of a grain of rice. 2. 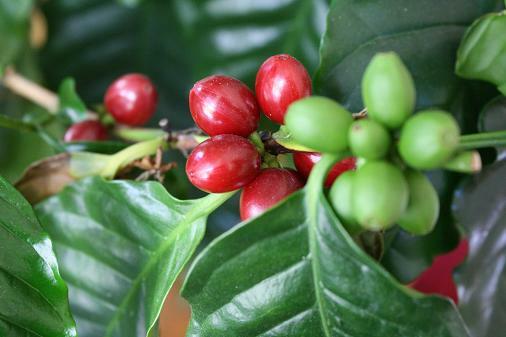 When the coffee plants grow there are buds that look like cherries but inside is the coffee bean. 3. 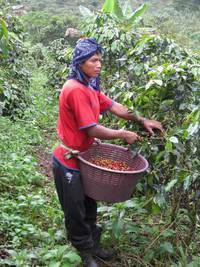 There are hundreds of workers who harvest the coffee beans off the plants. 4. We learned that we can’t grow coffee here because it isn’t warm enough throughout the year. 5. In Colombia they love coffee. The kids drink coffee with lots of milk. The kids here don’t really drink coffee. Coffee is more of a drink for adults. When we meet with our Colombian friends this month we will be comparing Mother’s Day traditions and celebrations.